Announced in September, up to $100,000 in matching grants will be made available this fall as part of the City of Albany Small Business Facade Improvement Program’s third round — applications are available online, the fall 2018 funding window opened September 4 and will close on October 19. If you have questions regarding the program, please contact staff at Development@CapitalizeAlbany.com. Previous rounds of this small business program have been tremendously successful. To date the program has leveraged more than $500,000 in new investment. Administered by Capitalize Albany Corporation, the City of Albany Small Business Facade Improvement Program is made possible by funding from the City of Albany Capital Resource Corporation and with continued support from the Albany Community Development Agency. The program can provide matching grants to small businesses and/or commercial property owners for exterior renovations. 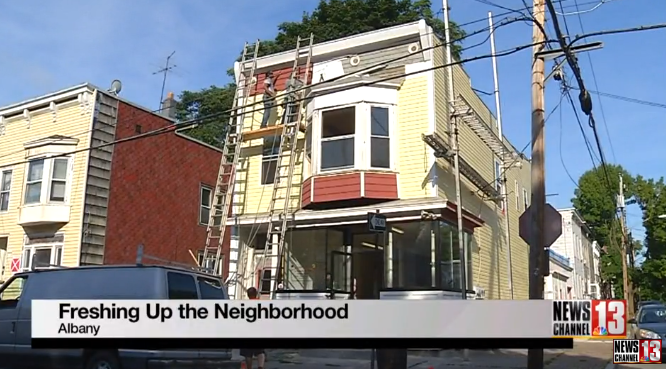 With support from the Program as part of its second-round last year, learn more about the investment taking shape in Albany’s West Hill neighborhood, click here or below.